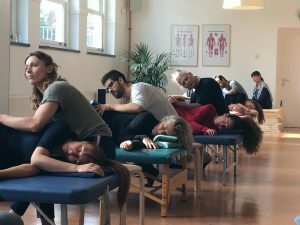 Through this page you can PAY THE SECOND MODULE of the Ilan Lev Practitioners Training. Please click the green button and follow the procedure. Thank you! Only for the registered participants of the Ilan Lev Practitioners Training. Here a summery of payment details and dates. You pay a non-refundable registration fee of 500,=. Each modules costs € 1250, to be payed in the month before each module. The last payment is € 750,=. When you pay a module a confirmation will be sent to you by email (it will be in dutch, so sorry for that for all our guests from abroad!). An invoice is added at the bottom of the mail. When you land on this page, we assume you have payed the registration fee. If that is not the case, please do so. Click here to pay registration fee. If you have any questions, don't hesitate to contact us: petra@akademie.nl. Looking forward to meeting you again!